Peach is a fruit tree of the Rose family (Rosacea) grown throughout the warmer temperate regions of both Northern and Southern Hemisphere.The tree seldom reaches 21 ft in height under cultivation,it is usually kept between 10 to 13 ft by pruning. Leaves are glossy green, lance shaped and long pointed. The flowers borne in the leaf axils are arranged singly or in groups of two or three at nodes along with the shoots of the previous season’s growth. The peach develops from a single ovary that ripens into a fleshy, juicy exterior making up the edible part of the fruit and a hard interior called the stone or pit. The flesh my be white, yellow or red. 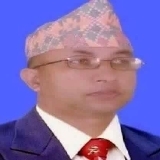 * Dr. Ram Bahadur Bohara is the Chairman of the of Nepal Alternative Medical Development Council and Advisor of Science Infotech. What are complementary therapies ?